Santa Mariana Bayside Condominio: Uscire alle spiagge di sabbia, palme, e barche a vela di Mission Bay! Splendidamente arredato, due camere da letto, due bagni, 1100 piedi quadrati, condominio a San Diego con lavatrice e asciugatrice, lavastoviglie, barbecue a gas, internet a banda larga wireless, TV via cavo, DVD / VCR e stereo CD. Edificio sicuro e parcheggio fuori strada. Ascensore. Disponibile dalla settimana o mese. Grandi settimane estive ancora disponibile! Fantastica vista dalla camera da letto principale, Soggiorno, Cucina e. Camera da letto degli ospiti ha due letti singoli e vista parziale dell'oceano. Soggiorno ha divano letto queen size. Ovale vasca da bagno nel bagno Master. Bagno per gli ospiti comprende box doccia. Noleggiare biciclette da spiaggia e pattini a rotelle e visitare la passerella da fuori dalla porta. Guarda i fuochi d'artificio Sea World di notte in estate. Sea World (tre miglia) e famoso zoo di San Diego (sette miglia) in auto o in autobus. Affittare tavole a vela e catamarani nella vicina Santa Clara Sailing Center. Godetevi il brunch Bayside presso il vicino Catamaran Resort. Venite a San Diego! I appreciated this booking before we even arrived. I forgot the address and called David after we landed. David graceously helped me. Very kind and understanding. We brought out 14 and 12 yos and stayed a week. This place was perfect for us . Ability to reach David - awesome. Amenities in the Condo - too many to count - great for families - w/d, kitchen, beach chairs, pool floaties, games, books, internet, tourist books and maps, full arrangement of tv/cable/streaming choices. View of park below and out into the bay from both living room and bedroom. Both bathrooms were just perfect for us. Coffee maker, fridge and dishwaster were wonderful. Amerities outside the condo - the pool was awesome. Just perfect for an afternoon dip. The park down below, with a shower, bathroom, and playset allowed for independence from condo. Rentalable scooters on the corner, 16+ yo, were very handy. The beach beyond the park was quiet and clean. The path around the bay connects you to Mission beach, and all the fun there as well as Sea World. Food menus in binder to order for delivery or an easy walk to the restaurants along the strip. 2 grocery stores close by. This condo was perfect. We hope to stay again. Wondrful place, wonderful city, everything close by/easy to get to. Very nice facility, well equipped. The keys for the elevator and the garage door both were a little persnickety- have to jiggle back and forth, side to side to get them to work. The only problem of significance was that the master bed was very soft and saggy- I had to sleep on the floor for the entire week- should have purchased an air mattress. Otherwise, everything was great and wonderful city with so much to do! Four of us stayed here for 3 nights in September, really good location and great to have secure parking for the rental car. The apartment is very comfortable and well equipped, including beach chairs, towels etc and the bonus of having access to the swimming pool was great. The weather was particularly warm when we were there and although it was fine when the ceiling fans and electric fans were on, the electric fans were a bit noisy to leave on during the night - I guess it depends if you are a light sleeper! David was very helpful and easy to reach, thank you David! I loved the decor and the high ceilings. We enjoyed the games and movies in the condo. It was great to have a parking spot in the garage. The owners were easy to reach with any questions we had. They also allowed us to stay an extra hour due to a teleconference my husband needed to call into. That was so helpful! We would choose to stay here again! Grate place! 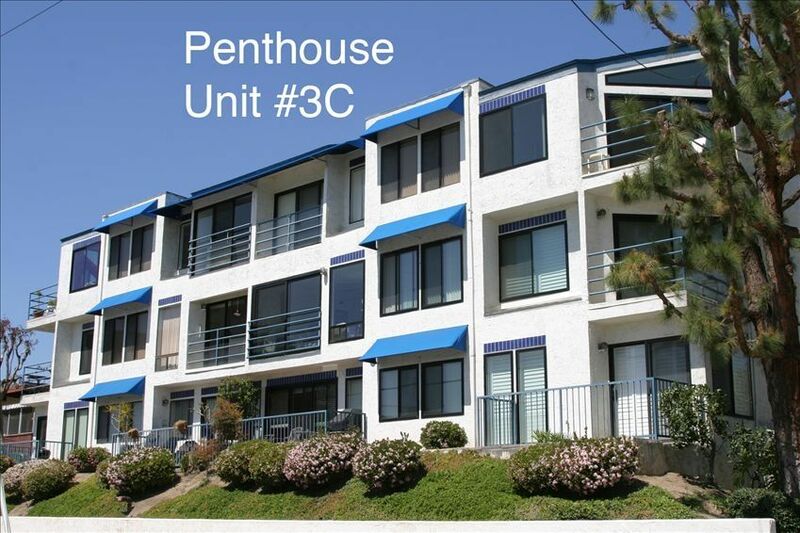 Centrally located to everything - entertainment and beaches - Mission Bay, La Jolla, Downtown San Diego and the Airport. Equipped with everything that my family needed. Well stocked kitchen, towels and very,very comfy beds! Thank you David very much. Good! Location great. 6 blocks to beach. Block off mission bay with a view. Unit very nice with all amenities. Extras for the beach. Really a nice set up. Bad. No natural air flow. No a/c. We sweltered for the week. Unit had fans for each room, but that was not enough. Bathroom fans useless. We tried everything. Across from park seemed good, but the halogen lights at night were bright enough to read by in the unit. Closing blinds meant even less airflow. Having to leave windows wide open also meant noise all night. See where I’m going here. May be good in winter, but I would not go there in summer. We could not wait to leave. Balboa Park, surf e molto altro ancora! Any credit card or PayPal or other payment fees withheld by VRBO/HomeAway must be added to the traveler's payments or they will be deducted from the traveler's damage deposit refund. Owner also accepts direct payment by personal check.